Rather than respond via email, it makes just as much sense to answer this online. 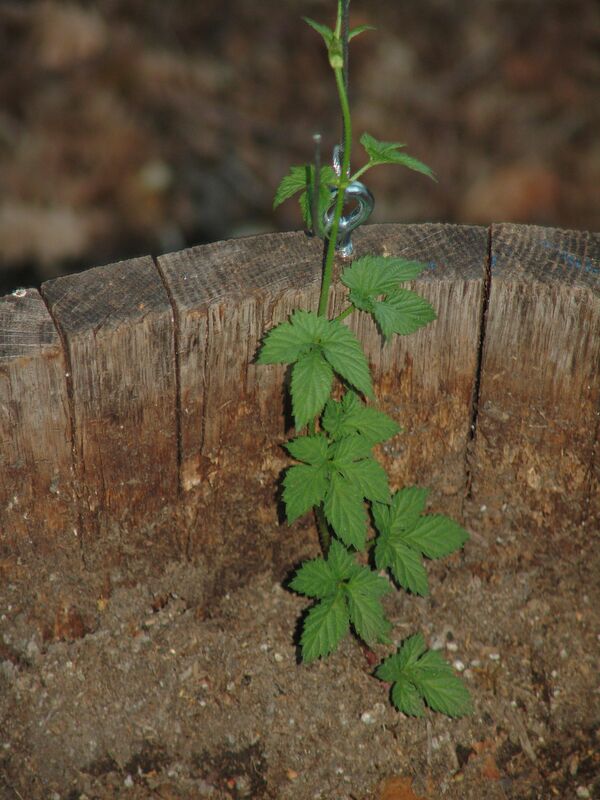 Rhizomes, if you are not familiar, are root cuttings from female hop plants. Females produce the hop cones that brewers put in the boiling wort. Entering “Hop rhizomes” into a web search yields a full page of companies that sell rhizomes. I get mine through MoreBeer. See: http://morebeer.com/category/hop-rhizomes.html Plenty of other homebrew supply stores sell hop rhizomes when they are available. MoreBeer is out of 2014’s stock and will send an email when you can preorder 2015’s varieties. Do some research and find the one that will grow in your climate. Happy brewing and Merry Christmas. Yes indeed. The Centennial hop rhizomes have sent bines into the air. We here at Flog This Dead, should be able to use it in a fresh hop version of Bell’s Two Hearted ale clone [PDF link to recipe]. Carbonated Trix–breakfast of champions. Yum! Ain’t photosynthesis and auxin wondrous? 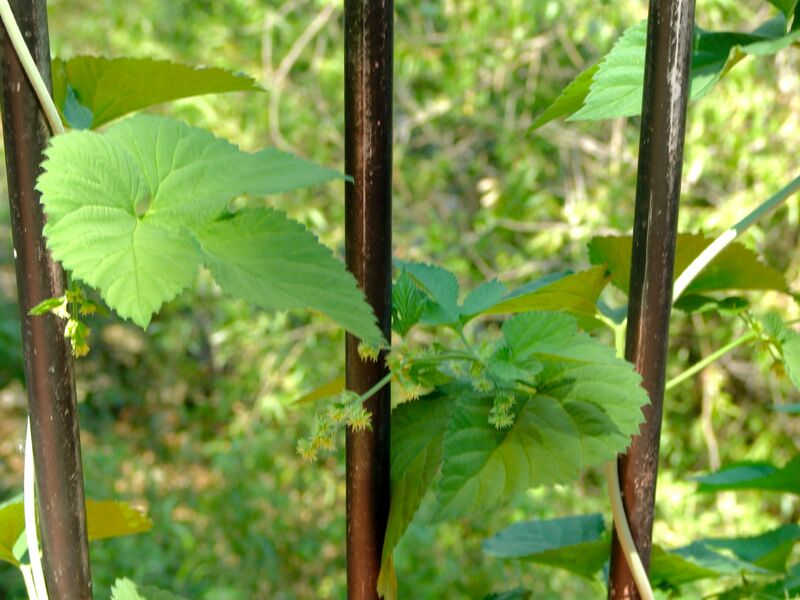 This is a Zeus hop ((Humulus lupulus var. whotheheckknowsii)part of the CTZ–Columbus, Tomahawk, Zeus–hops triad). 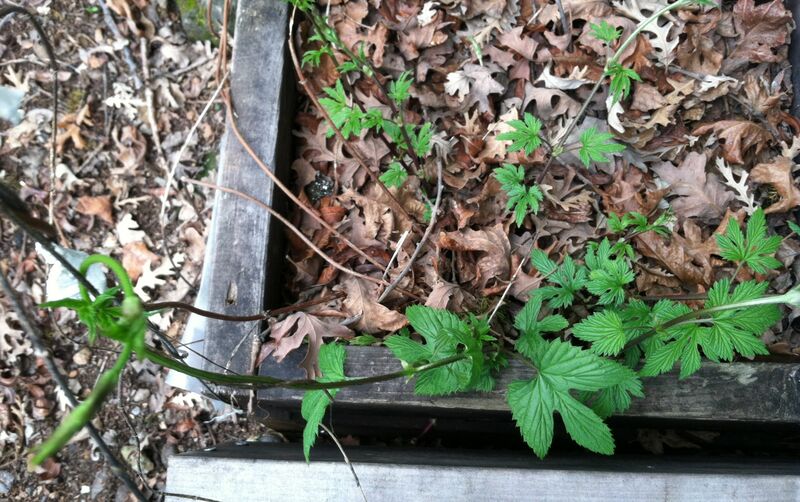 I have planted approximately 20 hop rhizomes inside containers around the house. I have hung wire from my decks down to the containers, a drop of ten to twelve feet. The few that have popped up seem to migrate to the wires pretty readily. Zeus hops beginning to trellis on a wire.